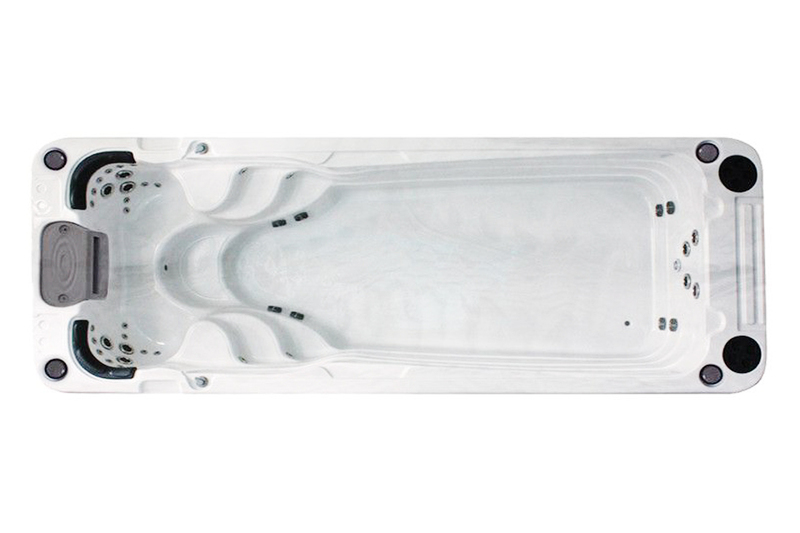 Sweeping curves that create entrance stairs distinguish the Aquatic 2 Swim Spa by Passion Spas. 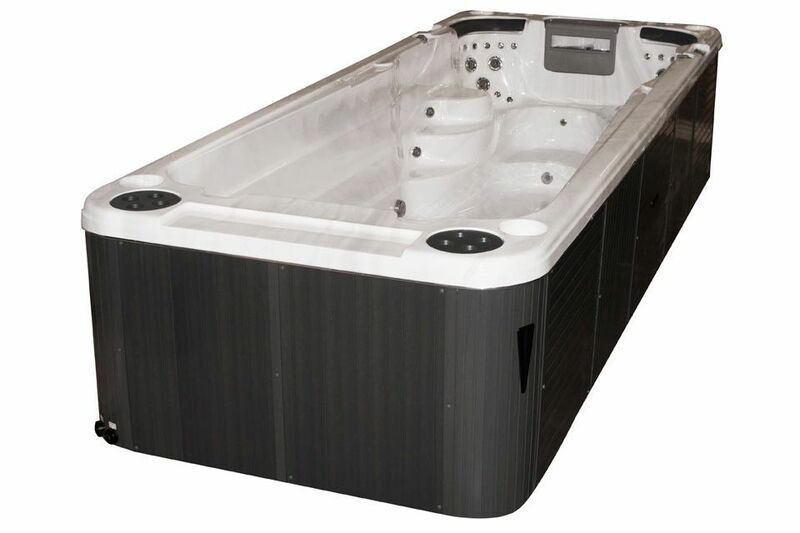 Two deep, extra-wide bucket seats packed with massage jets sit at one end of the spa, while a long swim lane provides plenty of room for your workout. 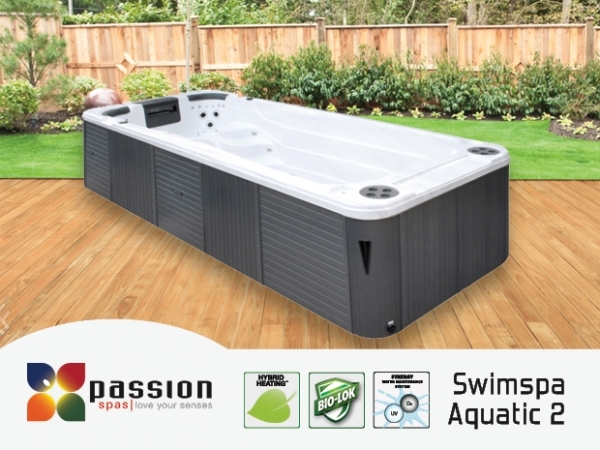 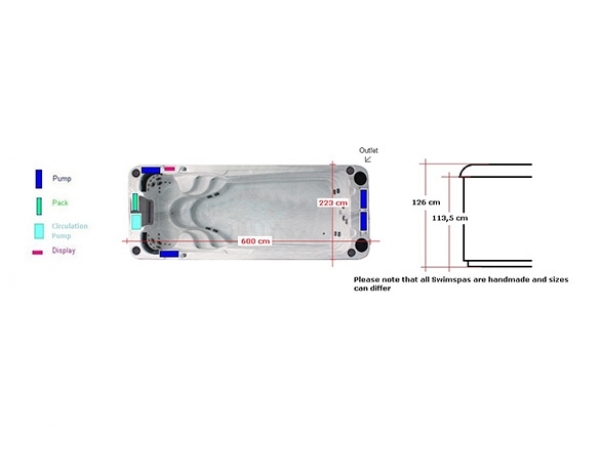 Each Passion Swim Spa is built with the same energy efficient construction as our spa line, including full bottom tray, insulation on the shell and cabinet.